Talk To Frank Genesee Before You Plead Guilty! Talk to Frank Genesee and learn if you have a defence. If you are facing assault charges in Hamilton, do not assume that you will be found guilty. Have your case reviewed by Frank Genesee, an experienced criminal defence lawyer, before you enter a plea. You have options. The prosecution may not be able to prove its case. You might have a legitimate defence. There may be alternatives to your case going to court. Find out what your options are before you decide whether to plead guilty. Speak with Frank Genesee today to ensure the best possible outcome in your circumstances. Frank Genesee can set out all of your options, before you enter a plea, including the possibility of completing a diversion program and avoiding a criminal record. If a diversion program is available to you, Frank Genesee will know which prosecutors to approach about the possibility and the best strategies for negotiating a deal with them. If you decide to plead not guilty and your case goes to trial, Frank Genesee has the experience necessary to prepare for and run your trial to your best advantage. 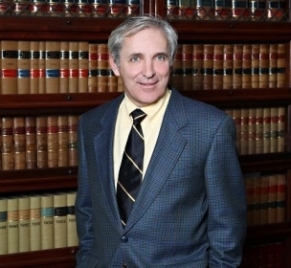 Frank Genesee is familiar with the criminal court judges in the Hamilton area, knows what they like to hear and how they like their trials to proceed. This is a very powerful tool that you do not possess. Call Frank Genesee today at (289) 426-1644 to have your case assessed for free by a criminal defence lawyer with experience defending people from assault charges. The definition of assault includes the unwanted touching of another person or the applying of force directly or indirectly to another person without that person’s consent. Assault can also include making a threat, if the person being threatened reasonably believes that the person making the threat is likely to carry it out. This is known as verbal assault. All forms of assault are considered violent crimes and, as such, the penalties and consequences associated with a conviction are severe. Common assault, assault causing bodily harm and aggravated assault. Common assault is the most minor of the assault charges. It is also the most commonly laid assault charge. Common assault involves unwanted touching that does not result in injury to the victim. Don’t let the word “minor” deceive you. Common assault is still a violent crime and a conviction can have serious consequences that will affect you for the rest of your life. Assault causing bodily harm is an assault that has caused harm to the body of the victim. Aggravated assault is an assault that wounds, maims, disfigures or endangers the victim’s life. Consent (if you were involved in a consensual fight). The defence of someone under your protection, as long as you did not use more force than was necessary to prevent the assault. Prosecution of an assault charge. You may have heard the terms misdemeanor assault and felonious assault in relation to less serious and more serious forms of assault. These are terms from American law that are commonly used by the media. In Canada, assault can be prosecuted as a summary offence (less serious) or an indictable offence (more serious). If the crown prosecutor decides to prosecute you for an indictable offence, you are facing more severe penalties if you are convicted. Common assault is generally prosecuted as a summary offence. A 5-year jail term for common assault. A 10-year jail term for assault causing bodily harm. A 14-year jail term for aggravated assault. In addition, you face the possibility of fines, probation and other restrictions involved with having a violent criminal record, such as firearm bans. You may also have heard the term “assault and battery” and wonder how battery fits in. The answer is that the term comes from civil law as opposed to criminal law. A person who has been threatened or injured by the actions of another person has the right to sue that person in civil court for any damages that he or she suffered. In the civil law context, assault occurs when the victim perceives unwanted contact and battery involves actual unwanted contact. As these events often occur together, the term “assault and battery” is commonly heard. It is important to note that the civil and criminal definitions of assault are different. You need Frank Genesee on your side. Never assume that you will be found guilty. If you are facing assault charges, you need the experiences and resources that Frank Genesee can provide. For the best possible outcome, call Frank Genesee today.